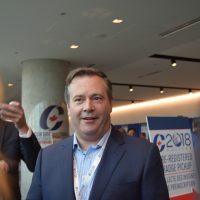 Less than a quarter of caucus members have yet to publicly endorse a candidate in the Conservative leadership race as the final month of campaigning begins. Their reasons for staying mum range from having multiple close friends in the race to opting to remain neutral due to their involvement in the leadership race organization. 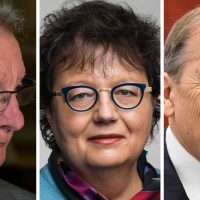 In total, 24 MPs and Senators have yet to endorse candidates. 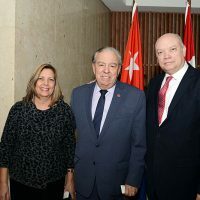 Aside from that, others have said they are staying neutral, including several who won’t declare support because they are part of the caucus leadership team. This includes Interim Leader Rona Ambrose (Sturgeon River-Parkland, Alta. ), House Leader Candice Bergen (Portage-Lisgar, Man. ), and chair of the Ontario Conservative caucus Dave Van Kesteren (Chatham Kent-Leamington, Ont.). Some have not declared yet for personal reasons, though a couple have stated publicly a short list of candidates they’re considering. 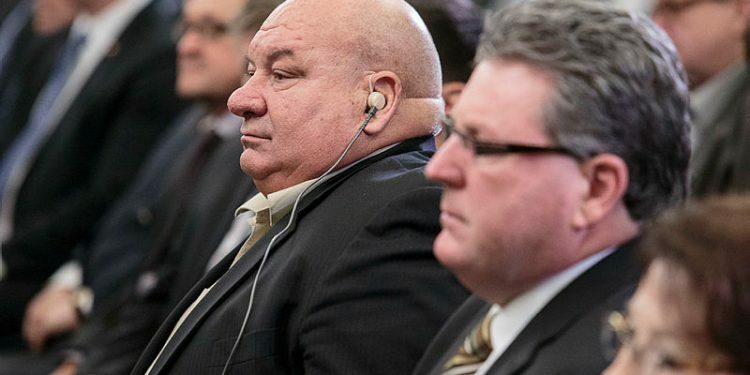 Four caucus members (two MPs, two Senators) had said they supported businessman Kevin O’Leary. 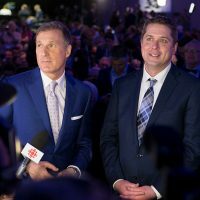 He announced Wednesday he is dropping out of the campaign and throwing his “full support” behind Maxime Bernier (Beauce, Que. ), and asking his supporters to do the same. 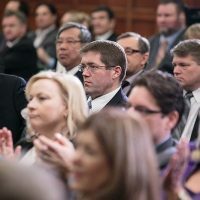 To what extent they, including his caucus supporters, will is uncertain at this point. 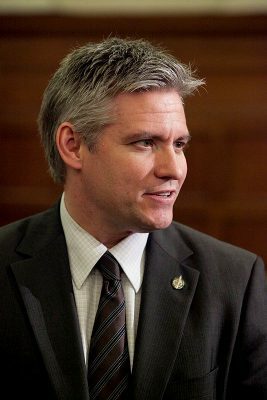 Those MPs and Senators still undeclared include Mike Lake (Edmonton-Wetaskiwin, Alta.) and Larry Miller (Bruce-Grey-Owen Sound, Ont.). “I have four Members of Parliament who I prefer as candidates, who I think…would make good leaders. 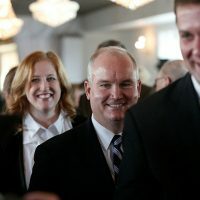 Those four are Andrew Scheer, Erin O’Toole, Lisa Raitt, and Maxime Bernier,” he said in an interview with The Hill Times. He added that he didn’t think his opinion should have any more importance than anybody else’s opinion. Mr. Miller said it was having multiple friends in the running that prevented him from voicing his choice for leader publicly. “I’ve got four or five real close friends in the race, and this is just a way I’ve decided to do it. I’ve been honest with them behind the scenes, I’m just publicly not announcing,” Mr. Miller said. “I won’t be [announcing before the vote]. One of my…main criteria for any candidate is they have to have the potential to be able to beat Justin Trudeau in 2019. I think there’s a handful that do, that would be able to do that. 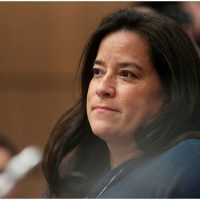 In my opinion, they include Lisa Raitt, Erin O’Toole, Andrew Scheer, and Michael Chong,” he added. Leadership candidates have touted in press releases throughout the campaign when caucus members endorse them. 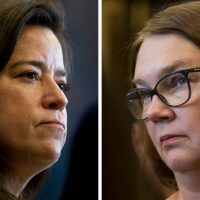 Though it’s debatable how important caucus support is to securing a leadership win, candidates able to amass endorsements from Conservative MPs and Senators are perceived to have momentum and support that may spread beyond caucus into the rank-and-file membership. Mr. Lake and Mr. Miller said every candidate has approached them seeking their support. For Mr. Miller, most of those conversations took place with candidates over the phone. “The actual candidate would call me, most of the time. 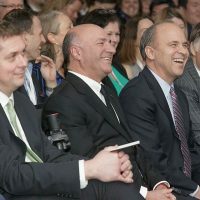 With Kevin O’Leary, someone from his campaign called to set up a time that I could talk to him. There was a couple others that did the same. I think when Tony Clement was in, somebody reached out. But at the end of the day, I talked to each and every one of them either by phone or in person,” Mr. Miller said. Similarly, Mr. Lake said, his conversations were directly with the candidates themselves, although he spoke with most of them face to face. 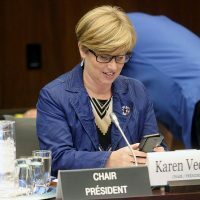 “We have the chance to interact on a fairly regular basis, at caucus on Wednesday mornings, or in and around votes, Question Period, and in the Commons, those sorts of things. I had a really good conversation with Erin O’Toole in the Toronto airport today, just coincidentally,” Mr. Lake said. He said for candidates who aren’t sitting MPs—Rick Peterson, Chris Alexander, Andrew Saxton, and Pierre Lemieux—most interactions he’s had with them have been at leadership events. Thirteen candidates are seeking to lead the party. Of those, nine are sitting MPs. They are: Mr. Bernier, Mr. O’Toole (Durham, Ont. ), Mr. Scheer (Regina-Qu’Appelle, Sask. ), Mr. Chong (Wellington-Halton Hills, Ont. ), Ms. Raitt (Milton, Ont. ), Steven Blaney (Bellechasse-Les Etchemins-Lévis, Que. ), Kellie Leitch (Simcoe-Grey, Ont. ), Brad Trost (Saskatoon-University, Sask. ), and Deepak Obhrai (Calgary-Forest Lawn, Alta.). As of April 25, 69 MPs and 26 Senators had declared support for a candidate, out of a total of 99 MPs and 39 Senators, or 69 per cent. Removing the nine MP candidates themselves and Parliamentarians remaining neutral, there are still 12 Senators and 12 MPs undeclared. The Hill Times contacted all of their offices last week, but either didn’t hear back, or was told they had no comment or were undecided. They include MPs just elected this month, Bob Benzen (Calgary Heritage, Alta.) and Stephanie Kusie (Calgary Midnapore, Alta. ); as well as MPs Earl Dreeshen (Red Deer-Mountain View, Alta. 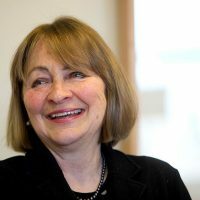 ), Cheryl Gallant (Renfrew-Nipissing-Pembroke, Ont. ), Mr. Lake, John Nater (Perth-Wellington, Ont. ), and David Sweet (Flamborough-Glanbrook, Ont. ); former cabinet ministers Rob Nicholson (Niagara Falls, Ont. ), Michelle Rempel (Calgary Nose Hill, Alta. ), Pierre Poilievre (Carleton, Ont. ), and Alice Wong (Richmond Centre, B.C.). 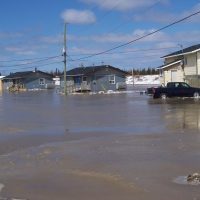 Joël Godin (Portneuf-Jacques Cartier, Que.) said he would announce this week. 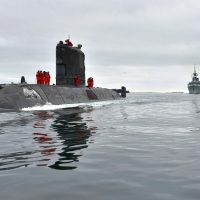 Senators who have yet to declare include: Saskatchwan’s Raynell Andreychuk; Ontario’s Salma Ataullahjan, Tobias Enverga Jr., Linda Frum, and Vern White; Yukon’s Daniel Lang; Newfoundland and Labrador’s Elizabeth Marshall and Fabian Manning; British Columbia’s Yonah Martin; Nova Scotia’s Thomas J. McInnis; and New Brunswick’s Paul E. McIntyre and Rose-May Poirier. 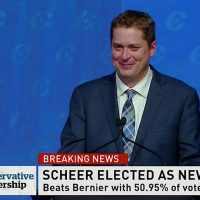 Mr. Scheer has the most endorsements, 32 (24 MPs and eight Senators), with Mr. O’Toole coming in second with 31 (29 MPs and two Senators), while Mr. Bernier has 16 caucus supporters (six MPs and 10 Senators), and Ms. Raitt has four (three MPs, one Senator). Ms. Leitch has three (all MPs), so does Mr. Chong (two MPs, one Senator), while Mr. Blaney has two (both Senators). 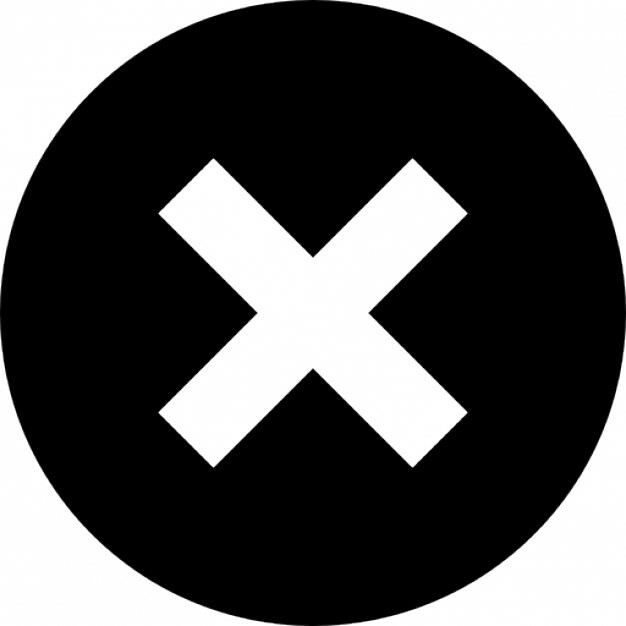 Mr. Alexander, Mr. Lemieux, Mr. Obhrai, Mr. Peterson, Mr. Saxton, and Mr. Trost have no declared caucus support, though several have gained endorsements from former caucus members. Pat Kelly (Calgary Rocky Ridge, Alta.) 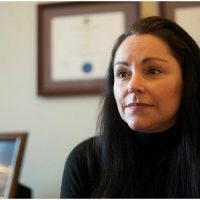 announced his endorsement for Mr. O’Toole on Monday, saying that, like most of his colleagues, making a decision was difficult given the number of qualified candidates in the race. “Most of the candidates are my caucus colleagues, and many of them have many great attributes, so it was a tough decision to make. 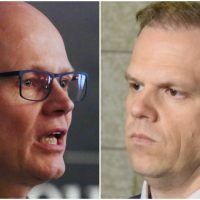 We’re fortunate to have a number of really good candidates that are running, so I think it’s a good thing that it’s tough for some of us to make a choice,” Mr. Kelly said. “I think all of us are looking at which leader we think is going to be the most likely to help us win the next election, and who will then be the best prime minister,” he added. 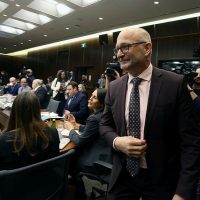 Conservatives will vote on the party’s new leader in a ranked-ballot process with the results to be announced during a party convention on May 27 at the Toronto Congress Centre. Editor’s note: this story was updated April 26 at 2:40 p.m., after Kevin O’Leary’s announcement he’s no longer running for leadership.